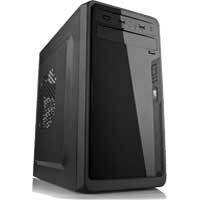 If you are limited for space but still want a high performance powerful Custom PC then try our Small Form Factor PCs. These computers maybe small but pack a punch with their powerful processors and strong graphic cards, accompanied by top quality motherboards and fast DDR3 RAM, they easily match up to units which come with larger cases. A Small Form Factor Computer is perfect for you if you want to get a powerful SFF PC but need to fit it in a tight space. What's more we have access to a very large range of cases so we can source a case that should fit. So if the standard size we offer is not right for you, email us with the measurements of the space you need to fit the PC into and we can send you a quote for a suitable SFF Computer. So if you are in the market for a small but powerful custom built computers, this is the range for you.